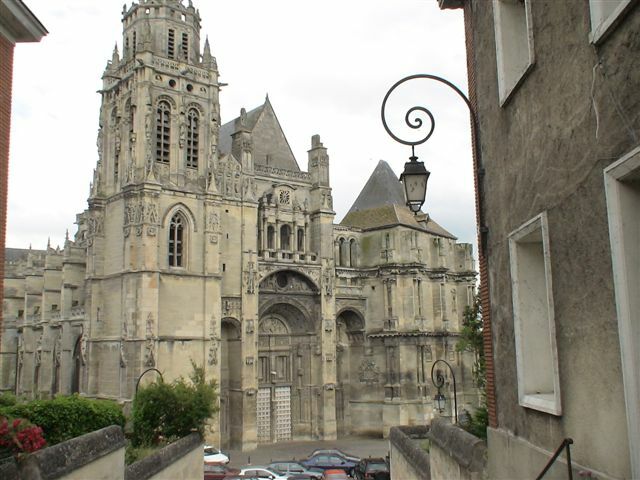 According to the myths about the Priory of Sion, Gisors was the scene of splitting between the Templars and the Priory. Unfortunately as there is no evidence for the Priory of Sion existing before it being registered by Pierre Plantard on 7 May 1956. Despite Dan Brown's claim that the Priory exists, there is absolutely no historic evidence to substantiate such a claim, Monsieur Plantard placed or had placed documents forged by Philippe de Chérisey into the Bibliothèque Nationale de France (The National Library of France). These forgeries were at least in part to support claims to an illustrious lineage which the son of a butler could never justify. It appears that there was an elm where the English and French met to hold discussions following the fall of Jerusalem in 1188, the English leaders sat under the elm and the French were allowed to suffer in the full heat of the sun. The French took umbrage at this treatment and ordered the elm to be cut down. There is some dispute as to whether the English tried to protect it, reinforcing it was bands of iron and that the French sent carpenters, supported by troops, including crossbowmen, who succeeded in cutting down the tree. 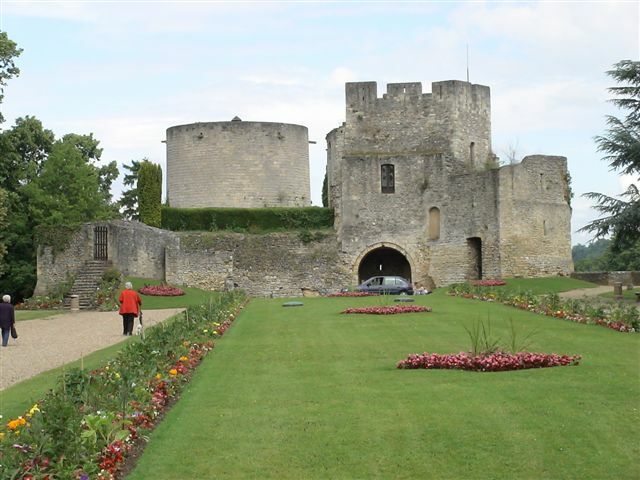 There is an interesting castle in Gisors dating from about 1095. It was in Templar hands from 1158-1160 and was also the final prison for Jacques de Molay, the final Grand Master in 1314, prior to his burning at the stake. 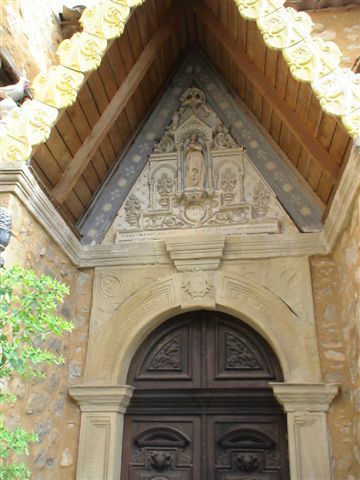 Prior to Plantard's hoax, the former guardian of the Castle, Roger Lhomoy in 1946 claimed to have found an underground chapel containing treasure of the knights Templar. This he later admitted was a hoax, but in created considerable interest, including that of Pierre Plantard who was later to assume the title Plantard de Saint-Clair, claiming that Jean VI des Plantard married a member of the House of Gisors during the 12th century. The church is interesting and again subject to scandals and hoaxes. One such being a hidden crypt containing iron coffers found during WWII bombing. also relating to Jacobs dream . Perhaps the most interesting feature of the church as the pillars, one, know as the "tanners pillar". A tanner is depicted kneeling on his left knee with the right apparently bare, a scene reminiscent of Masonic ritual. 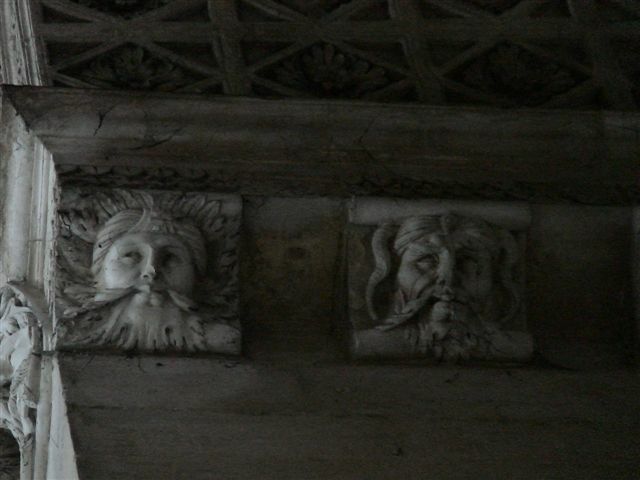 There are interesting carvings, including a number of Greenman images .